Here are a few of my favourite books and websites (yes, I’m a word nerd). Watch this space: I’ll add new resources to the list from time to time. Academic phrasebank shows academic writers how to compare, contrast, describe and explain (and more). APA style blog answers many questions about APA style. Daily writing tips explains how to avoid common errors in grammar, punctuation and word use. Grammarbook.com explains grammar and punctuation, with clear examples and free quizzes. Grammar girl gives a modern take on grammar and word usage. Plain English campaign promotes writing that is easy to understand. Ultimate grammar resource guide is a collection of helpful grammar resources, and some just for fun. Word ribbon tips shows how to make the best use of MS Word. Commonwealth of Australia 2002, Style manual: for authors, editors and printers, 6th edn, rev. Snooks & Co., Wiley, Brisbane. Flann, E, & Hill, B 2004, The Australian editing handbook, 2nd edn, Wiley, Brisbane. Hudson, N 2015, Modern Australian usage: a practical guide for writers and editors, Allen & Unwin, Crows Nest NSW. Mackenzie, J 2011, The editor’s companion, 2nd edn, Cambridge University Press, Melbourne. The Macquarie dictionary 2009, 5th edn, Macquarie Dictionary Publishers, Sydney. McCrumm, R, Cran, W & MacNeil, R 1992 (1986), The story of English, new and revised edition, BBC Books, London. Mosher, J 2016, Self publishing for Australian authors, Moshpit Publishing, Hazelbrook NSW. Murphy, EM 2014, Effective writing: plain English at work, 2nd edn, Lacuna, Westgate NSW. New Oxford dictionary for scientific writers and editors 2009 (1991), J Daintith and E Martin (eds), Oxford University Press. Pinker, S 2014, The sense of style: the thinking person’s guide to writing in the 21st century, Penguin, UK. Waddingham, A 2014, New Hart’s rules: the Oxford style guide, 2nd edn, Oxford University Press, New York. Whitbread, D 2009, The design manual, 2nd edn, University of New South Wales Press, Sydney. Thank you to the keen writers who’ve suggested some more helpful writing and editing resources for this page. If you have a favourite writing-related blog, website or article that you’d like to share here, please contact me with the details and I’ll check it out. Drop by again soon to see what’s new. 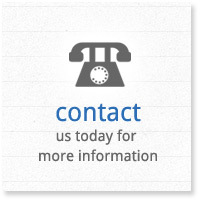 Disclaimer: Information contained in this website is for general information only. Rely on this information at your own risk. 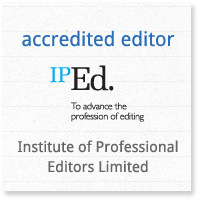 Through this website you are able to link to other sites that are not under the control of RAK Editing Services. 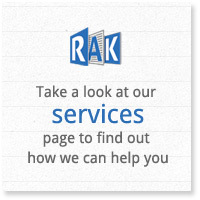 RAK Editing Services has no control over the content, nature and availability of those sites. 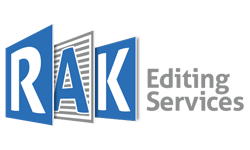 Listing of a site or resource here does not necessarily imply that RAK Editing Services endorses or recommends a particular site or resource or the views expressed there.